Most cannabis growers are looking for the best and biggest buds possible. There are numerous factors involved when trying to get better yields from your cannabis crops. In this article we will take a look at carbon dioxide and how it can help get better yields in a cannabis garden. We will give a briefly examine some methods to increase CO2 in a cannabis environment. The historic boom in biotechnology over the past few years has driven up demand for laboratory space in the nation’s hottest markets, sending rents soaring and vacancy rates plummeting. Green Technology Solutions, Inc. (GTSO) is working on new solutions to help ease the scarcity. GrowCo, Inc., a Colorado corporation ("GrowCo") and majority owned subsidiary of Two Rivers Water & Farming Company ("Two Rivers") (OTCQB: TURV) announced today that GrowCo expects to receive a certificate of occupancy for its first greenhouse facility within 45 days. The facility has a 91,000 sq. ft. greenhouse and 15,000 sq. ft. processing warehouse. Upon completion, the project will be the largest modern cannabis greenhouse growing facility in Colorado. The greenhouse has been leased to Suncanna, LLC, a newly formed Colorado limited liability company, whose principals have over twenty years' experience in modern commercial greenhouse growing. VANCOUVER, British Columbia, May 6, 2015: Wildflower Marijuana Inc. (CSE: SUN) (FWB:RSP) (the “Company”) has signed a Letter of Intent to license the most advanced technology for the delivery of oil based derivatives in the disposable vaporizer industry. The purpose of the Licensing Agreement is to pair the highest grade cannabis extract with the most advanced technology in disposable vaporizing to meet the growing demand of health conscious cannabis consumers. Wildflower will have exclusive rights to this technology in Washington State giving the Company a clear advantage over other similar products. Cannabis vaporizing continues to gain momentum with consumers and currently demand in Washington State exceeds supply. Colorado's Amendment 64 is known nationwide as the ballot item that legalized marijuana here, turning the state into one of the country's test sites for decriminalizing and regulating the use of pot for people 21 and over. But Amendment 64 legalized more than just pot. It also made legal growing industrial hemp, the non-psychoactive cousin of marijuana that is poised to create a new industry in Colorado. While they both come from the same plant, different varieties are used for marijuana and for hemp. They are different both in their botanic composition and their cultivation, according to the Rocky Mountain Hemp Association. 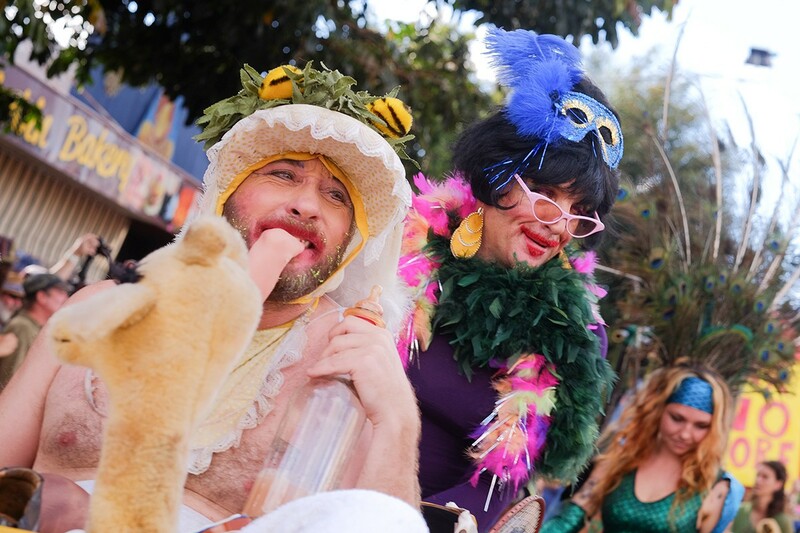 Although shrouded in a little mist, Nimbin’s MardiGrass Parade on Sunday was held in perfect weather. Thousands rolled into town for the annual Police Swab Fest and Mardi Grass. Nimbin MardiGrass organisers have hailed this year’s event a success despite heavy policing on the roads in and out of the village. As weary festival-goers prepare to leave this morning, police have once again set up drug-testing stations on the outskirts of the village. Women, in fact, comprise a large portion of growers, dispensary owners, and canna-business professionals. To help them emerge from the shadows and connect, Women Grow was established last year in Denver, Colorado. Since then, it’s provided a professional network for both established entrepreneurs and newbies of the cannabis industry. With monthly events for women – and men – in 25 plus cities across the country, Women Grow is launching a Portland chapter this week with its first networking event on May 7th at McCormick Mansion.